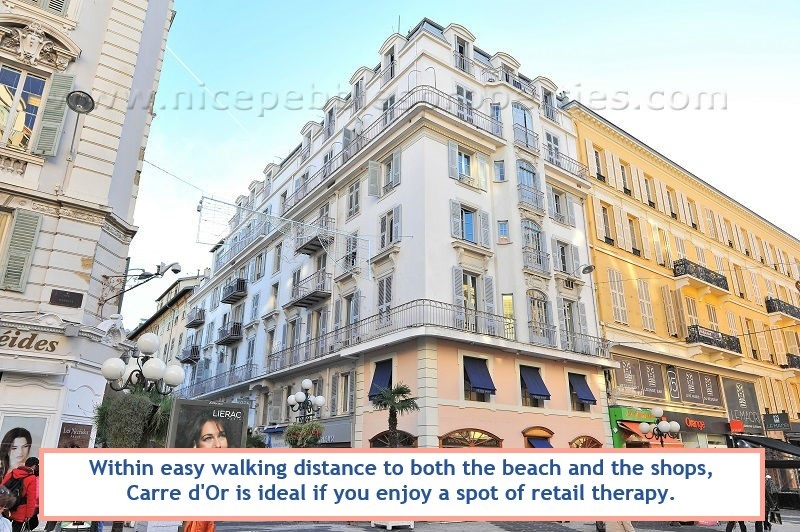 Located between Place Massena and the classy Musiciens area, Carré d'Or is one of the most stylish addresses in Nice. 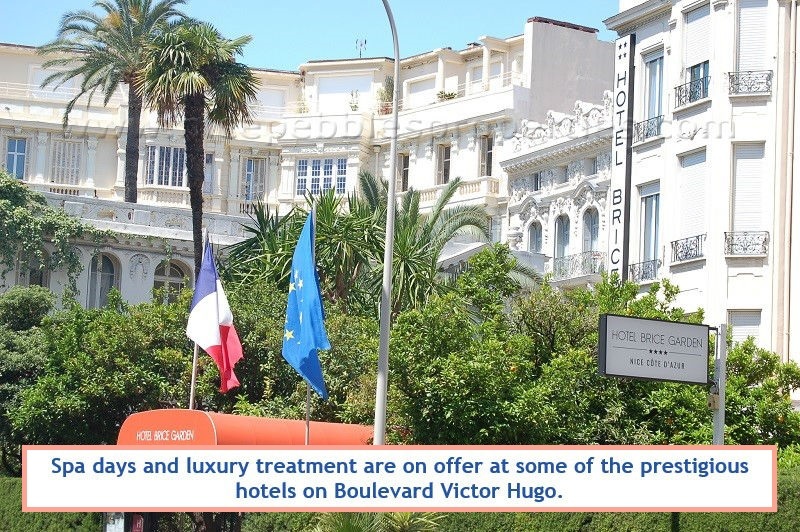 Apartments in this affluent residential zone sit a few blocks back from the beach, and bask in bourgeois seclusion. 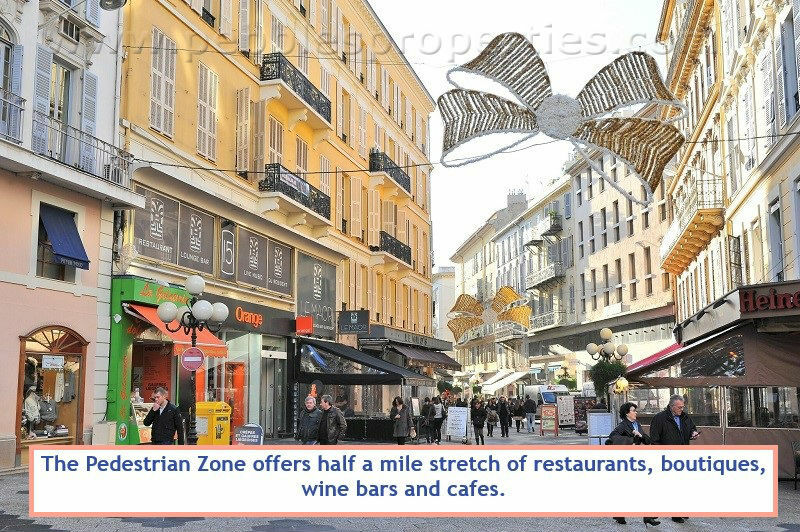 Interspersed between the ritzy buildings are glamorous boutiques and interior design stores, as well as neighbourhood bakeries and fine epiceries. 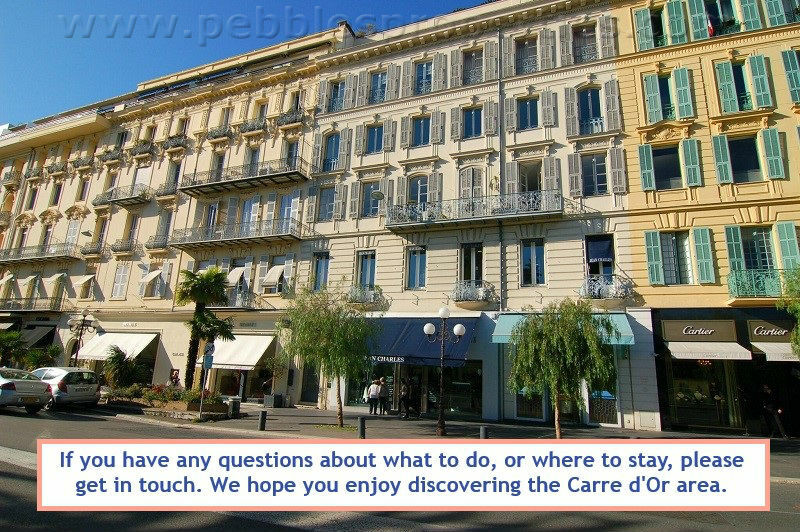 Getting around Nice from your rental apartment the Carré d'Or is easy. 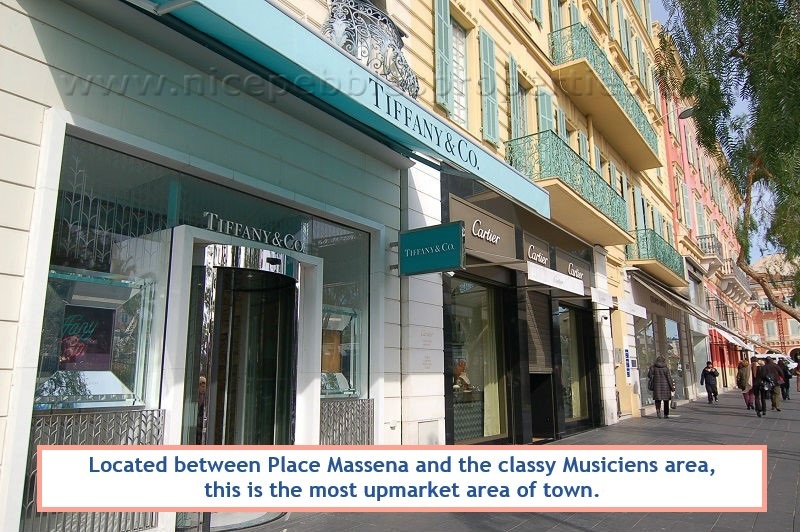 The tramway that runs through Place Massena is a five-minute walk, while the main Nice-Ville train station and Old Town are each a ten-minute stroll away. 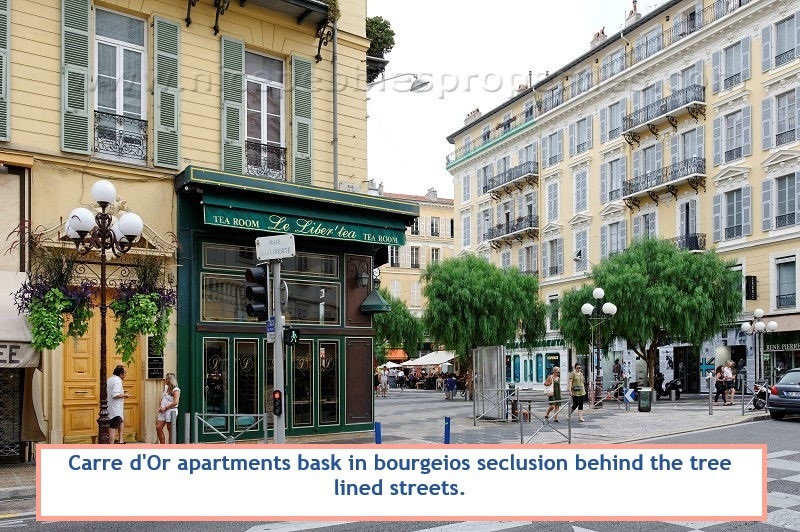 The clue to understanding the area is in the name: Carré d'Or translates as Golden Square. 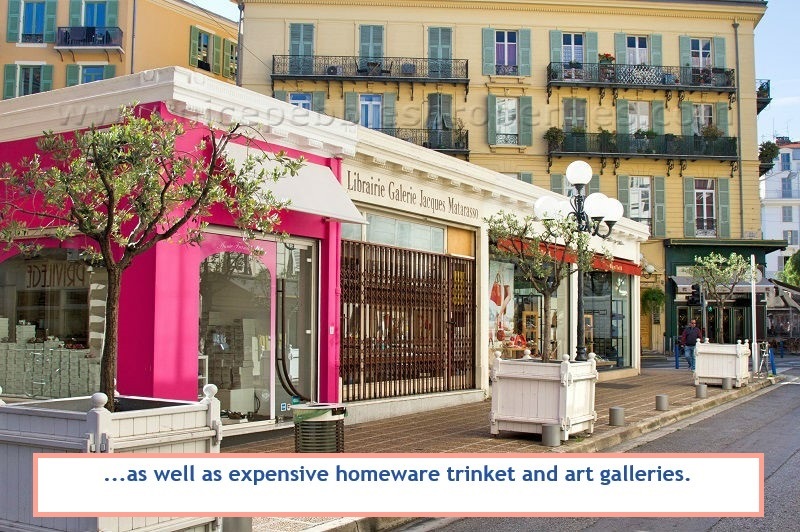 Its proximity to the Promenade and Old Town attracts rental guests in search of everything nearby, if not on their actual doorstep. 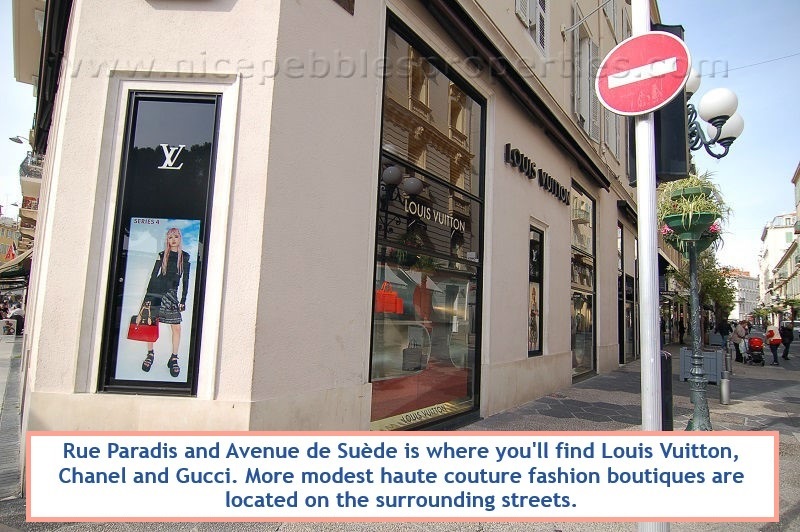 The neighbourhood includes the Zone Piétonne (the long pedestrian-only street called Rue Masséna, set between Place Masséna and Rue de France), Boulevard Victor Hugo and the roads in between including Marechal Joffre, Rue de la Buffa and Alphonse Karr. 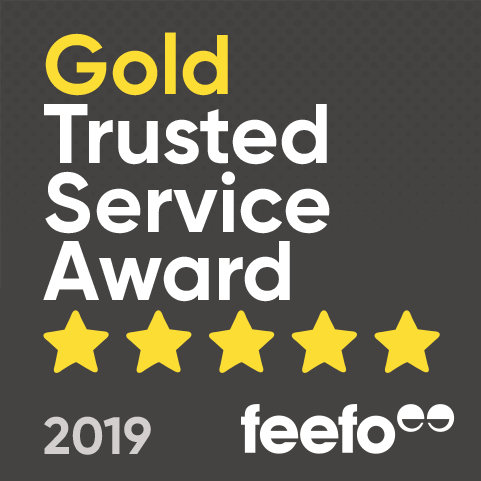 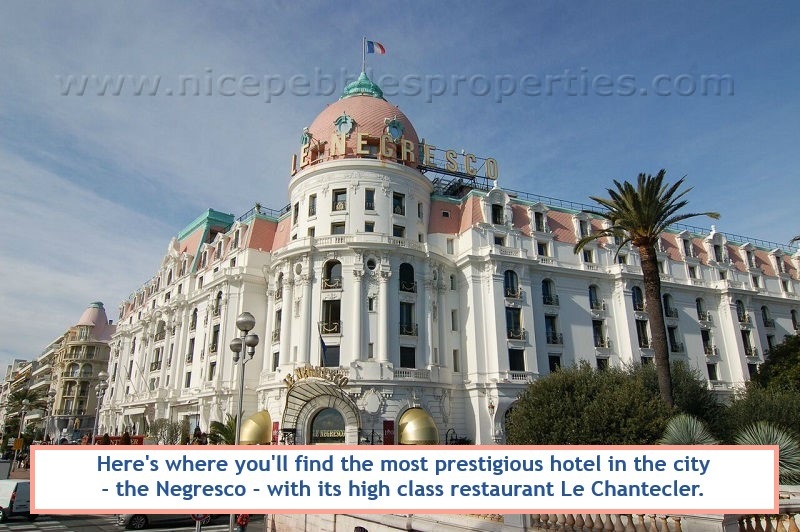 Affluent purchasers who don't mind paying a premium snap up properties in the Carré d'Or. 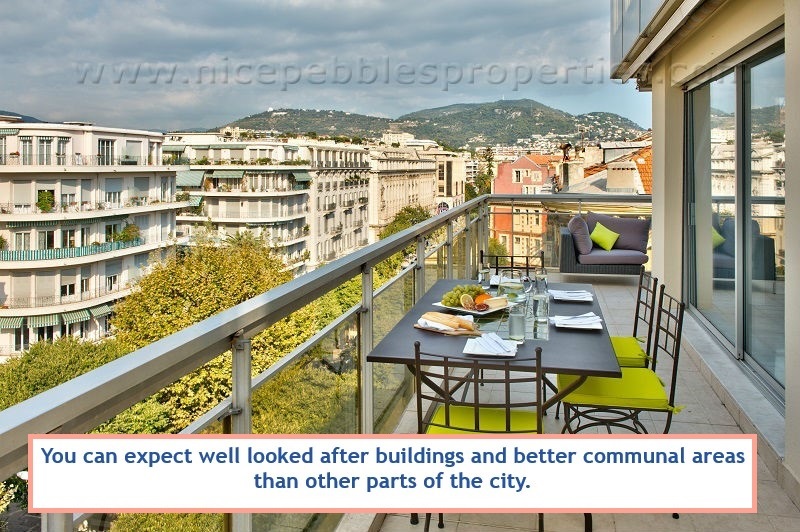 Consequently the buildings are generally among the best looked after in Nice. 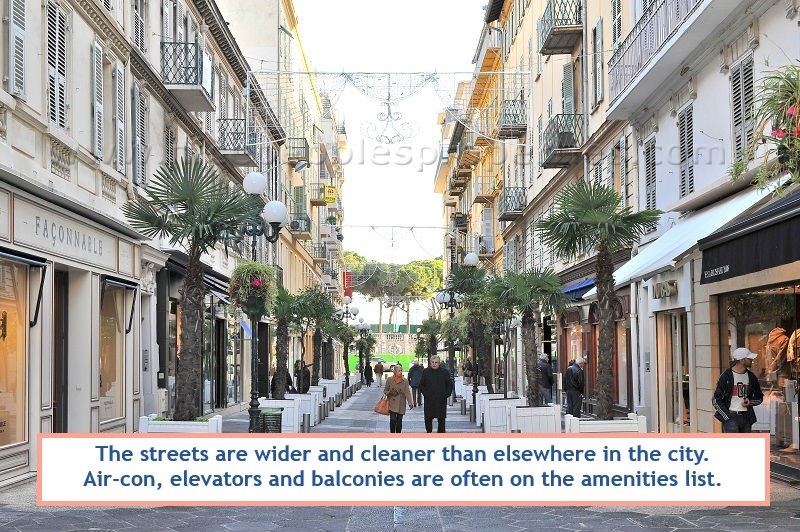 You can expect better common areas than in most other zones and the majority of holiday rental apartments have lifts and air-conditioning. 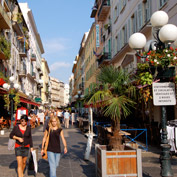 The streets may be cleaner, wider and grander than almost anywhere else in Nice, but they certainly aren't empty! 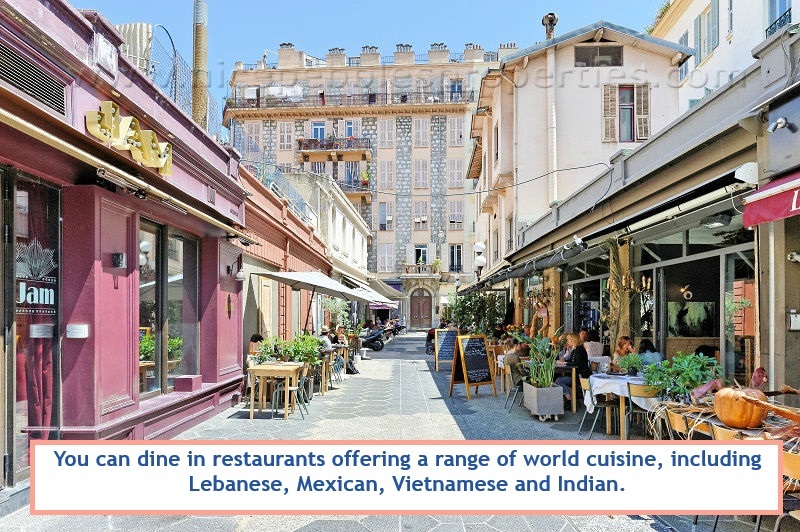 The Niçois lead a communal life, going outside for their daily newspaper and morning coffee, shopping for bread twice a day, and heading out for dinner or drinks most evenings. 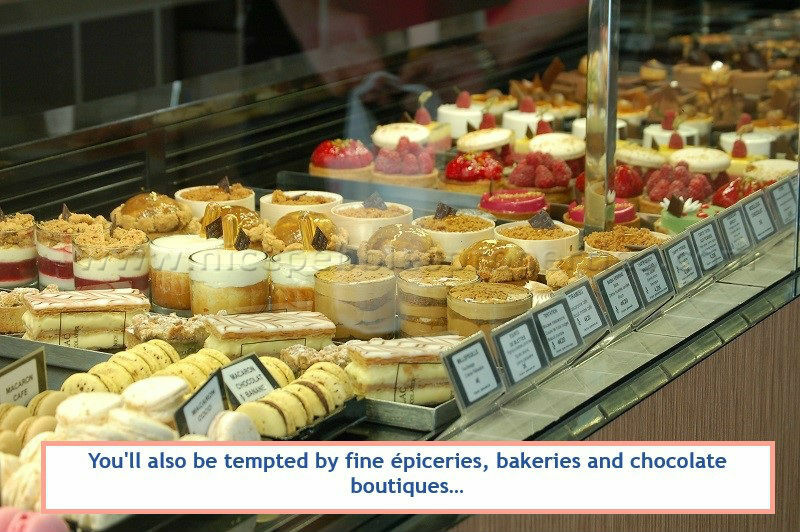 All of our rental apartments in the Carré d'Or are close to smart cafés, grocery stores and boulangeries. 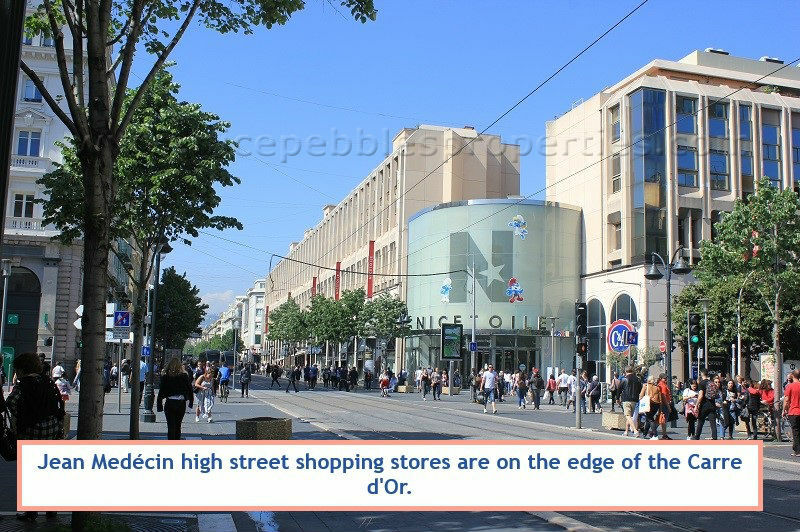 For a big shop we recommend the two-storey Monoprix supermarket on Avenue Jean Médécin, which is open until 9pm.